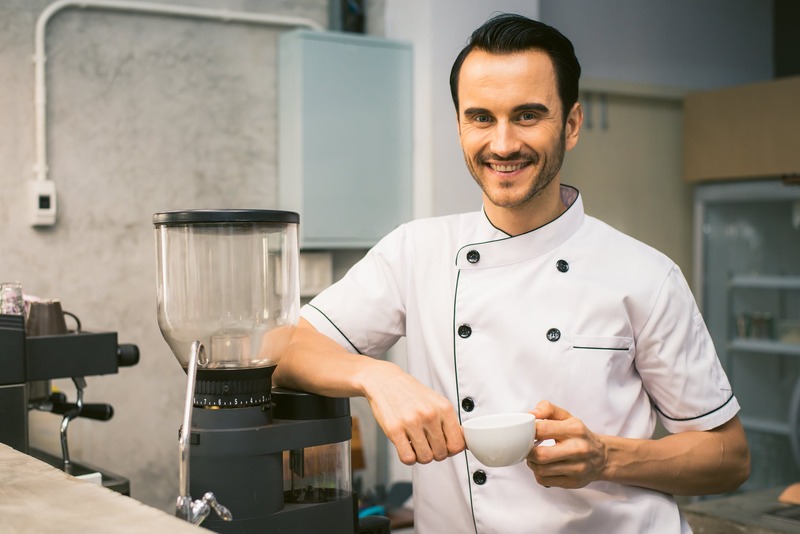 Even the most seasoned of restaurant owners can struggle to hire the best possible staff for their business so, if you’re new to the game, the whole process can be quite overwhelming. You might not know exactly how many members of staff you’re going to need, which roles they’ll play, or how you can ensure you always recruit the best person for the job. 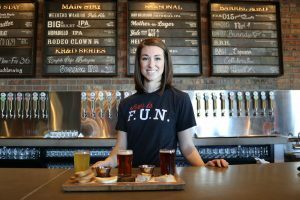 To help you out, we’ve put together this guide to hiring staff for your restaurant. We’ll outline how to work out which staff you need, what training they’ll require, and how you can retain the team you build. What staff do you need for a restaurant? 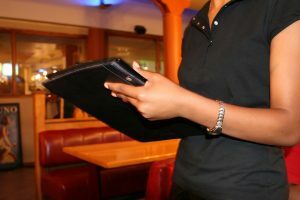 No two restaurants are the same, which means your staffing needs will be unique to your establishment. It can take time to truly work out who you need to help your restaurant run as smoothly as possible. But, you should be able to get a rough idea of what kind of team you’re going to need to assemble before you open your doors. You can always add to it and move people around later. So, who do you need to make up the framework? For most restaurants, the most important employee will be the manager. If you’re not planning to be hands-on with the day-to-day running of your establishment, they’ll be able to oversee everything, deal with any problems, and essentially ensure that things run as smoothly as possible. The best candidate for the job is someone who has already managed a similar establishment but, failing that, you’ll need someone who has a track record of being very organised, capable of making big decisions under pressure, and managing a team of people who all have different responsibilities. Managing a restaurant is a job that requires a great deal of concentration, and you’ll want someone who can keep a lot of plates spinning in the air at once. But, there will be times when they need to pitch in and scrub the floor or clean toilets, so they need to have the right attitude as well as the experience. When you open your restaurant, you’ll want your menu to be the star of the show. And, in order to make this possible, you’ll need a head chef who can work with you to create delicious dishes that will impress, as well as cooks who can make all of the starters, main courses, and desserts like a well-oiled machine. All chefs will be skilled in a slightly different way, so it’s important that you clearly outline exactly what their responsibilities will be in your job advertisements. For example, if you’re looking for someone who’s particularly skilled in one area — perhaps you want them to work with the likes of sushi or pastry — you will online find the right man or woman for the job if you make this explicitly clear. Your customers will have the most interaction with your serving staff, so it’s vital that you choose the right people to make up your team of waiters and waitresses. You’ll need staff who can work well under pressure, because they’ll typically have multiple tables to look after at once. They should also have a positive demeanour and be willing to address any problems your visitors might have. Of course, if possible, you’ll want to hire workers who already have experience of waiting on tables, but this isn’t totally necessary. It’s more important that the people you recruit have the right attitude — the art of serving customers can be taught. If your restaurant is big enough to warrant it, you might want to hire hosting staff to work alongside your servers. They can seat guests, make reservations, and take payments when appropriate. They’ll act as the face of your establishment, which means it’s important that you prioritise recruiting friendly faces who have a positive attitude. You’ll want your guests to be impressed by your restaurant’s level of customer service, and your hosts, along with your waiter and waitresses, will have the biggest effect on this. 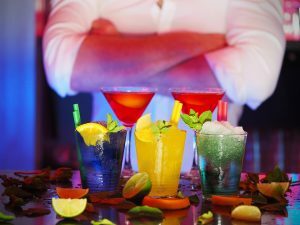 If your restaurant is going to have a separate bar area, or you want to be able to serve more complicated drinks like cocktails, it’s best to recruit specialist bar staff. 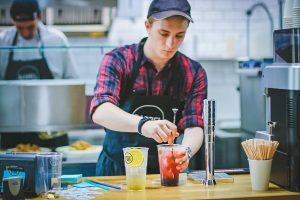 They’ll be able to make drinks behind the scenes while your serving staff can tend to your customers, as well as serve any visitors who might be waiting for a table. 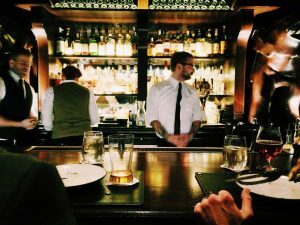 While some restaurant owners choose to go without specialist bartenders and get their hosting or serving staff to pour drinks instead, spreading the workload is likely to help things to run much more smoothly. So, if you can afford them, bar staff can be worth the outlay. 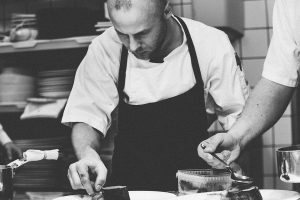 Once you’ve decided how many and what kinds of staff you need for your restaurant, you’ll need to look for the perfect people to fill the vacancies. But, it isn’t always easy to work out how to find the perfect chef, cooks, or serving staff. Here, we’ll talk you through everything from how you should advertise the job roles to how you can ensure you find the best talent possible. You’re going to want to have a pool of high-quality candidates to choose from when you’re trying to fill your restaurant’s job vacancies. In order to achieve this, you’ll have to make sure you create specific and informative job ads, which you then post in the right places. People looking for jobs in the food and drink sector might enter their location and the type of role they’re looking for using the search feature on general job sites, such as Indeed, Jobsite, Total Jobs, and Reed. But, there are also specialist websites such as Caterer.com, Leisure Jobs, and Restaurant Jobs that are well worth using, too. Of course, if you’ve already been building excitement about your restaurant’s opening through social media sites like Twitter, Facebook, Instagram, and LinkedIn, you can use these platforms as well. Better Team has a guide and template for creating job posts, which will help you to advertise your vacancies in a way that will attract the right kinds of applicants. They recommend paying special attention to the job titles you use, telling a bit about your company’s story, carefully spelling out the application process, and pushing your location to make sure you only receive serious applications. Once you start to receive responses from your job ads, you’ll have to assess the applicants in order to narrow them down to the cream of the crop. 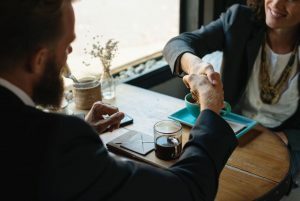 There’s no simple formula for this, and every business owner will have their own approach, but the process should at least involve face-to-face interviews and reference checks. The questions you ask candidates should be relevant to the job they’ll be doing and the way your restaurant works. So, for example, you could ask server applicants how they would deal with a customer complaint or ask someone interviewing for the head chef position how they would handle a disagreement in the kitchen. While there might not be one right answer you’re looking for, you’ll be able to get a good idea of someone’s temperament and thought processes by asking these situational questions. If you’ve narrowed down your pool of applicants through interviews but still can’t decide who would be the best fit for your restaurant, you might want to invite prospective staff for a trial day. Of course, if your establishment isn’t already up and running, this might involve holding a preview day, but it’s worth doing if possible. It’s the best way of seeing whether someone is going to be a good fit for your business. Once you’ve hired the staff you’ll need to open your restaurant, there are some steps you need to take to prepare them for opening day. For example, you’ll need to provide them with their uniforms, train them up, and make sure they’re all aware of their individual responsibilities. Here, we’ll explain how you can make sure everyone’s ready. There are plenty of benefits to providing your staff with uniforms. Firstly, they’ll help to give your establishment a more professional and polished feel. If your employees are wearing clothing emblazoned with your branding, this can also promote familiarity. 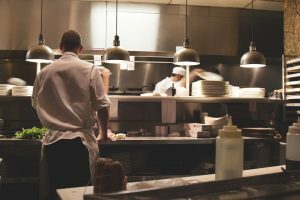 Some of your staff, such as your chefs and cooks, will also need special clothing to protect them from some of the hazards they might face in the kitchen. For example, hats, aprons, and the right shoes can help to keep them safe, as well promote a high level of kitchen hygiene. And, overall, providing your staff with uniforms can help them to feel part of a team, which should boost morale and might even help things to run more smoothly. Here at Alliance Online, we have chefs’ jackets, aprons, trousers, skull caps, and shoes, as well as protective clothing that will help you to limit the dangers your staff are exposed to. 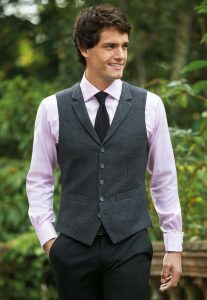 Plus, we have a wide range of front of house uniforms that will help the rest of your team to look the part. 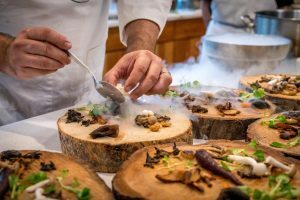 Chances are, you’ve hired your chef and possibly your cooks because they already have the experience they need to run a kitchen. So, apart from showing them where everything is and letting them know about your company’s policies when it comes to uniform, sick days, holidays, and the like, they shouldn’t require too much training. Although, if you have a clear idea of what recipes you want them to learn, and how you want things doing, you will need to go over this. Whether they’re completely new to hospitality or they’ve worked for other establishments that operate quite differently to yours, it’s likely your front of house staff will require more guidance. 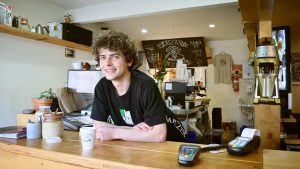 You’ll need to show them how you expect them to greet and treat customers, make sure they’re familiar with the menu, and well versed on health and safety within your restaurant. And, of course, they’ll need to know how to take orders, work with kitchen and bar staff, and take payments. Remember that this will all take practice, though, so don’t stress too much if they don’t pick everything up straight away. Hiring new staff can take a lot of work so, once you’ve built the perfect team for your business, you’ll want to retain your best workers for as long as possible. This means you need to provide them with good working conditions and incentives to stay. 47.3% of people who dislike their current job blame poor management, and 32.4% put the onus on a poor company culture, according to a survey conducted by CV-Library. One in five also said that they’re considering leaving their workplace because having a poor work-life balance is leaving them stressed. So, these are areas that you need to focus on when you’re trying to retain your staff. 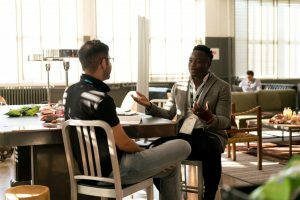 Having an open channel of communication between you and your staff will help them to feel listened to, and you should always address any problems they’re having quickly and effectively. It’s also important that you create a working environment that’s happy and supportive. Making sure your staff aren’t over-worked and trying to provide them with regular shifts will also help them to achieve a healthy work-life balance. It’s also worth thinking about what kind of development opportunities you can offer your staff. We all like to feel like we’re working towards something and, if your workers feel like they’re in a dead-end job, they will be far more likely to apply for jobs elsewhere. So, if possible, you should tell staff about possible routes of progression when they first join your restaurant. Giving them regular reviews to let them know they’re doing a good job will also help to give them a sense of satisfaction. It’s vital that your staff feel valued and respected — they’ll be far more likely to stick around if this is the case. Hiring the right staff for your restaurant can seem overwhelming, especially if you’re starting from scratch and have a large variety of roles to fill. But, as long as you’re looking in the right places, making your job ads very clear, and providing candidates with the chance to show off their skills, you shouldn’t have too much trouble. Once you’ve assembled the perfect team, it’s important that you give every member a reason to stay, too! We wish you the best of luck. Even the most seasoned of restaurant owners can struggle to hire the best possible staff for their business so, if you're new to the game, the whole process can be quite overwhelming. You might not know exactly how many members of staff you're going to need, which roles they'll play, or how you can ensure you always recruit the best person for the job. 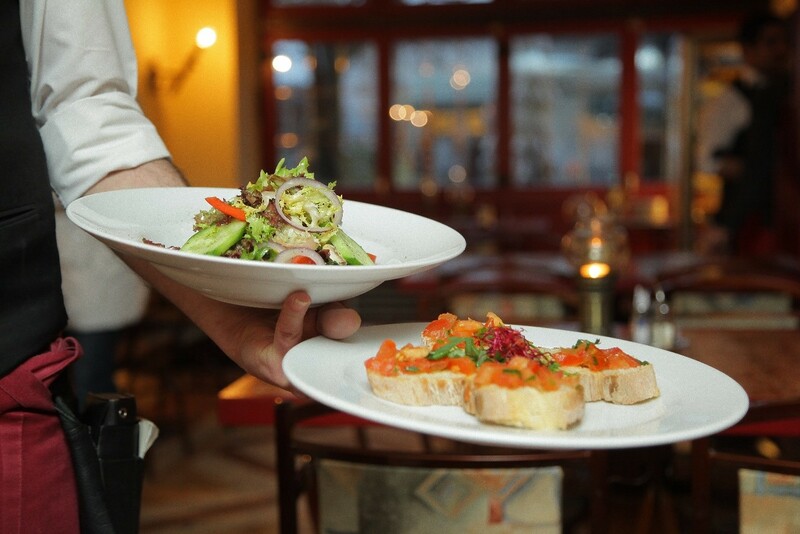 To help you out, we've put together this guide to hiring staff for your restaurant. We'll outline how to work out which staff you need, what training they'll require, and how you can retain the team you build.